Coins. Glitter. Salt. Milk. Juice. M&Ms. 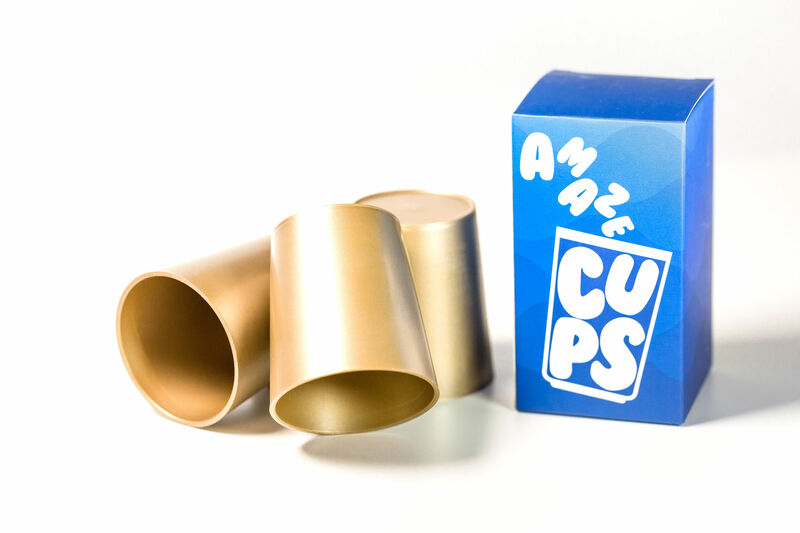 You can make so many things appear when you perform AmazeCups. 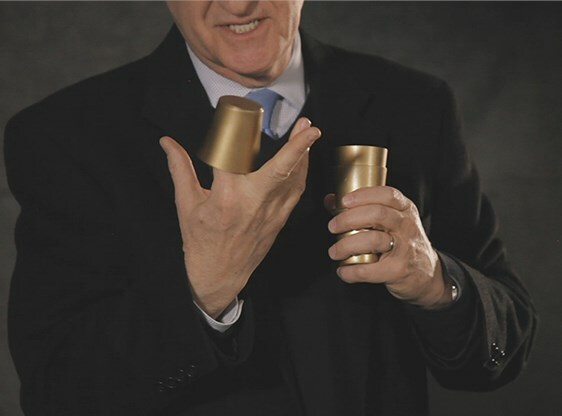 Three gold-color, shotglass-sized plastic cups that will not rust, dent or scratch. A larger, redesigned gimmick that’ll hold a bigger load. Best news. 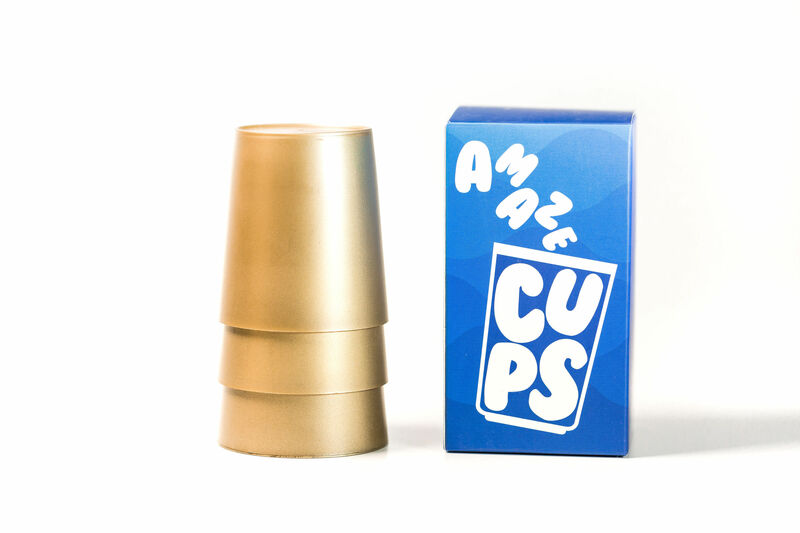 You can learn AmazeCups from the instructions in ten minutes. Really. No rubber covers, no palming, no steals. It’s self-contained! Or...learn Bill Cook's three-phase routine to produce salt. First you pour a stream of salt. When you pour again, the quantity seems to increase magically. On the final pour, it fills the cup and spills over the top! Watch the video. His routine was featured the TV show, Masters of Illusion. It'll fool you--guaranteed! 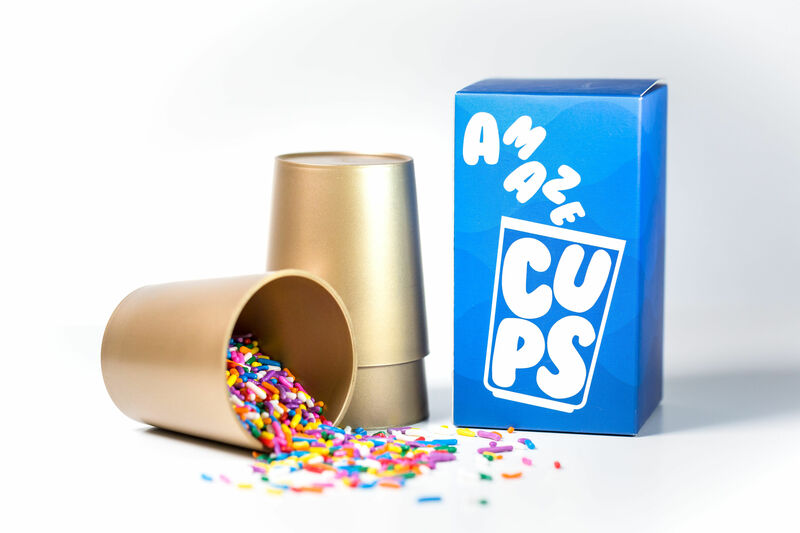 Make AmazeCups part of your family show repertoire. Or, because they’ll fit in your jacket pocket, you can perform this up-close as well. Use the script that comes with the prop or use your own presentation! You’ll get ooohs and ahhhs from kids, adults--actually everyone--every time you perform it. I’ve been performing Danny’s Amaze Cups for four years and its a real winner. I’ve taken Danny’s basic script and framed it around me and my son; me following my passion and my son following his. I’ve added custom music to create a heart felt piece that ALWAYS gets a huge ovation at the end. With just this simple prop and great ideas from the pros, you too will find a way to add this versatile prop to your act in now time. Get it! I just got Danny’s AmazeCups and they are fantastic! The design is superb and the applications are limitless. For children’s entertainers there’s no end to the routines one can develop but these are great for “big kids” too! As a restaurant and bar magician I cannot wait to thrill crowds with this wonder. I highly recommend! Gee, this is a good--a real worker with lots and lots of applications. Easy to do, too!